On Tuesday, September 13, Christa Story, Curator, UWM Art Collection, gave a gallery talk at the Wright Museum of Art at Beloit College in conjunction with the UWM Art Collection traveling exhibition Rembrandt Etchings: States, Fakes, and Restrikes. 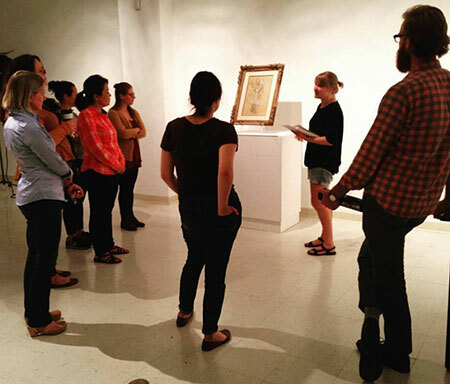 On Tuesday, September 13, Associate Professor Tanya Tiffany brought her ARTHIST 700: Proseminar graduate seminar to the UWM Art History Gallery and had a student present on an object from the UWM Art Collection. 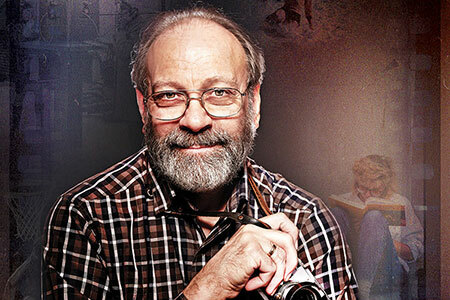 Alan Magayne-Roshak (BA, 1972) is featured in the Fall 2016 UWM Alumni magazine and the UWM Report. Gradaute student Pamela Caserta Hugdahl and Dr. Thomas Ferrella can be seen around the UWM campus installing art for Caserta Hugdahl’s upcoming thesis exhibition, ECO Ephemeral. The Department of Art History is pleased to announce that we are a proud Milwaukee Film community partner for the 2016 Milwaukee Film Festival (September 22 – October 6, 2016). 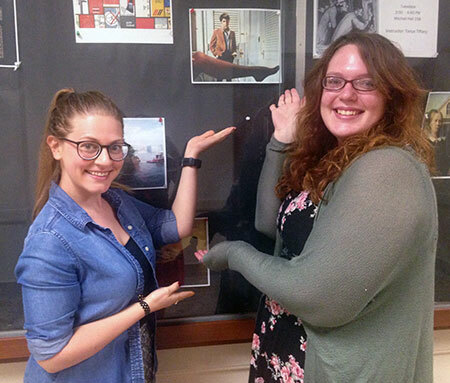 Congratulations to the 2016-2017 Chancellor’s Graduate Student Award recipients in the Department of Art History: April Bina and Selena Erdman! 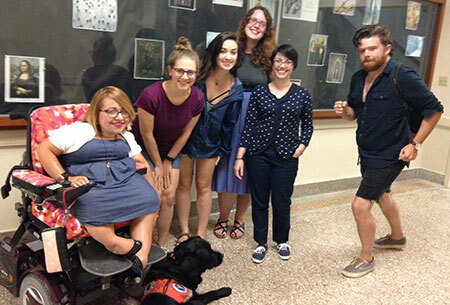 The Department of Art History was featured in the August 2016 edition of the College of Letters & Science In Focus monthly newsletter.